Spiritual folks and people who follow a Shamanic path watch for signs from nature. It may be a lesson, a harbinger or a message nudging our awareness. These omens signal them that something important is about to happen. Seeing dead animals can also shed light on past situations. We talk a lot about Animal Spirits, Guides, and Totems, but what does it mean when a dead animal lies in our pathway. Animal lovers find such encounters to be emotionally and mentally painful. But the question remains; is there a message in these moments? Light Workers and Sensitives seem to agree that the answer to that question is yes. This article explains some potential ways of interpreting your experience. Please note, however, that opinions on this subject vary. You may find your personal insights differ. Trust your inner voice and higher self in those moments. Additionally, just as with interpreting Animal Symbolism and Meanings, the heart of the matter often bears cultural and circumstantial significance. This, too, can cause different ‘outcomes’ or interpretations for seeing dead animals. Death, in general, represents transitions. It may be the end of a cycle, the chance to close an old door and open something new, or in this case it is a literal end in which the animal’s energy moves on. The symbolic value remains. The most common connotations connected to dead animals include change, progression, decisions, processing (or re-processing) and phases. One of the first ways of approaching this situation is by noting where the creature is, anything nearby that may influence the meaning, the time of day/date and even weather. Spirit, Totem, & Power Animal journaling is always something we recommend. This is like a blueprint where you begin unraveling the messages from your animal spirit guides. Next, consider if there have been changes in your life lately. Have you had a heavy question lying in your heart? What challenges you right now? Simple questions like these often clarify meaning beyond the short interpretations we are able to provide in this format. The distress of finding a dead animal is difficult enough, but when it’s your Spirit, Totem, or Power Animal the intimacy of this moment is hard to describe. That Animal is part of your soul’s matrix and here it’s earthly form has lost its ‘life’. How do we integrate this spiritually? 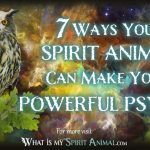 First, if your life has undergone a dramatic change recently it may be that your animal spirit guide felt the need to move on so another Spirit could work with the “new you”. However, please don’t be alarmed. This does not mean your animal spirit guide ‘sacrificed’ him/her ‘self’. 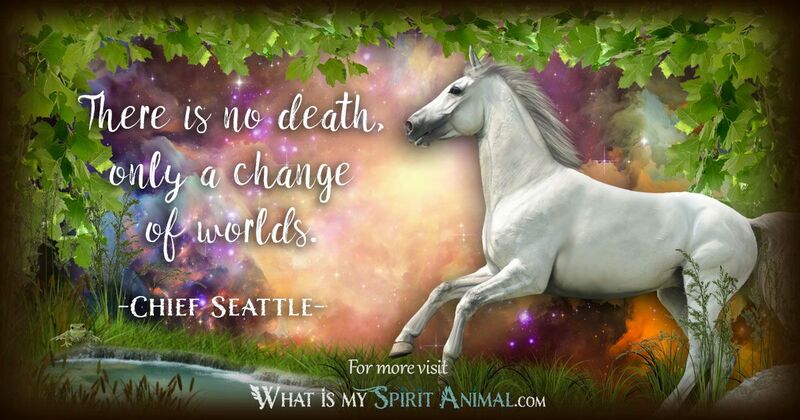 It means that your animal spirit guide had already chosen to leave this earth. 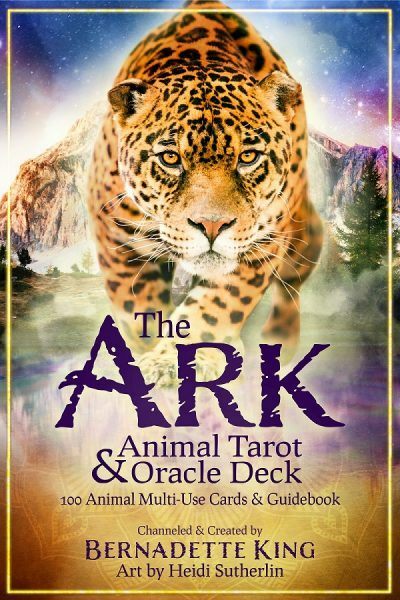 Once that choice was made, your animal spirit guide also chose to be in your path sometime during its transition cycle. This is a beautiful message of metamorphosis – your energy changed, you’ve taken the next steps in your development, and you now have confirmation that you can move forward with confidence. Don’t be surprised if another animal makes itself known to you within the weeks or months ahead. 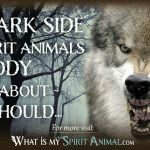 Another reason you might come across the mortal remains of a Spirit, Totem, or Power Animal is because you’re ignoring some vital truth this messenger has tried to reveal. This is a warning about losing yourself to unrealistic or negative views that can literally eat you up alive. Finally this experience may be an omen of impending, serious danger. It may be emotional, physical or spiritual, but keep your eyes wide open to what is real and what is illusion. Just because it’s a dream doesn’t mean that the image of a dead animal becomes any less disturbing. However, once you understand the meaning of your dream it becomes easier to embrace the image as a message from your subconscious, an Animal Guide or even a Higher Power (Angels, Devas, the Divine). There are some general dream symbols and connections that experts in interpretation created specifically to help you. For example, a dead animal that’s highly dangerous in real life often means that a treacherous circumstance or person has left your life (good news, indeed!). A dead winged creature in dreams represents your personal ambitions and goals fading away for some reason. If these are still significant to you, grab those hopes back and give them mouth-to-mouth! Otherwise perhaps you have moved on to new things that better represent personal changes and visions. The death of sweet, gentle creatures in dreams may be a little confusing. Have you lost touch with your inner child? Are you staying on-point with personal truth and virtues? On a more positive note, adolescents sometimes have dreams like this because they’re moving into adulthood, leaving certain immature things behind. As with all dream interpretation the placement of the animal, the surroundings and other details can alter the symbolic value greatly. Keep a dream journal near your bed and write down as much as you can remember as soon as you wake. This way you can go back later and unravel deeper implications. Before the Internet, if our Spirit, Totem, and Power Animal was an exotic or truly wild animal (Lion, Giraffe, Elephant, Eagle, Shark, Dolphin, etc.) we would very likely never encounter a dead one. Today, millions of animal pictures from all over the world can appear to us at any time. So, whether you see a dead animal in person or via the Internet trust that your animal spirit guides placed it in your path for a purpose. To put all this information into context we are providing you with potential interpretations from some of the creatures that people mention the most when wondering about death and its meaning. The specific type of bird has a lot of bearing on the symbolic value. A white bird, such as a dove, when it meets its final fate could portend unrest and imminent conflict since white is the color of purity and peace. Birds associated with specific people or places also bring the energy of those to the meaning of the moment. The red-tailed hawk, for example, is sacred to numerous Native American tribes, representing global thinking and vision. The death of one would likely be regarded as narrow-mindedness and a lack of authenticity. Another good illustration is finding a dead stork. Many cultures see the Stork as a life-bearer associated with motherhood. 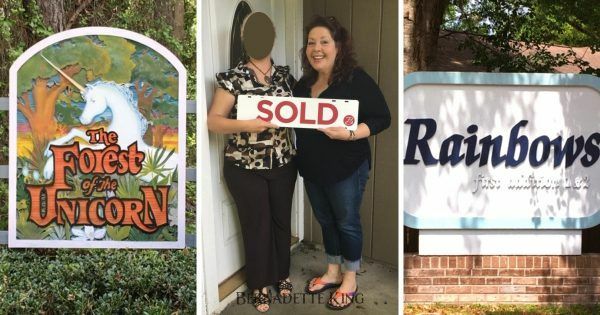 Here the message could be dire for a pregnant woman, but more often it represents a “brain child” – something you’d hoped to achieve but fell through. You can find out more about specific birds by looking up their characteristics, symbols and meanings. Crow is a very smart creature. They’re curious and playful. Because of the typically black color, many ancient societies viewed the Crow as a death-bringer, or minimally a bad omen. Based on this connection one might consider a dead Crow as good news. “Death” has been overcome or another unpleasant incident. Crows exhibit tremendous capacity for language and are one of the big comedians of the animal kingdom. If you see a dead Crow, it could mean that you’ve lost your sense of humor or the ability to speak your truth. Crows can be messengers from the Ancestors or Gods themselves. Are you listening? Sparrow is a common bird representing your sense of self and place in this world. Sparrow often survives where other birds are not so fortunate. In energy work, this bird vibrates with your heart and throat Chakra. When you find a dead sparrow examine your feelings about your voice – are you speaking your truth? Are you confident in your vision and Path? In Britain, Sparrows near the home spoke of good spirits. A dead one would be considered a warning. It’s time to set up proper protection against wandering souls up to no good. Squirrels are incredibly smart and resourceful. They are the master planners of the animal kingdom. They also have an innate sense of danger, moving them out of the path as quickly as possible. Even with this defensive nature, Squirrel loves a good challenge and adapts well to necessary changes. Seeing a dead Squirrel can be a message to watch how you expend your resources, including your personal energy. Plan ahead and stay watchful for issues to which you may have turned a blind eye. Be ready for change, often dramatic. The phrase busy as a Bee didn’t come about by happenstance. Bees are hard workers, and they are among the most important pollinators on our planet. Bees represent networking, cooperation, fertility, life’s sweetness and diligent endeavors. Finding a dead bee counsels you to think – am I working too hard? Have I over-extended myself in some way and in the process given up many of life’s little joys? If so, go smell some beautiful flowers and revel in the world of the Bee. Beginning in the early 2000’s, the world (America especially) began seeing millions of dead Bees. By 2017 at least seven types of Bees made the endangered animals list. Since Bees are crucial to the survival of many living things, dead Bees are on the minds of millions. 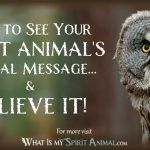 In Shamanic circles, it is believed there has never been a more profound warning from the animal kingdom and that the messages for humanity cannot – must not – be ignored. While some cultures see the Pigeon as a dirty bird, many notable people used the Pigeon’s homing ability for carrying messages. Cesar was one notable example. In World War II when secrecy was highly valued some Pigeons received awards! Pigeon is a fighter when it comes to staying alive. They remain close to food and to their nest. Coming across a dead Pigeon may mean that you are not providing for yourself or your family in some way (it can be emotional, spiritual or physical). It can also speak about your ability to “find home” and carry someone’s secrets safely, in trust. I’d like to know the answer to this one also..
How about when u watch a hawk let a dog bit them and the hawk dies? I just saw the spirit of a special cat who passed a few years ago. My mother in law is failing rapidly and we have hospice coming in to help keep her comfortable. Is it possible Grayboy came to give me a message concerning her? Does anyone have any thoughts about what dead foxes could symbolism? I’ve seen 2, 2 days in a row. Thank you! I can tell from your kindness and respect that we all are lead that thus is very authentic. Today I have a huge sense of greif and I don’t know why. My friend found a dead hummingbird on her patio table with no explanation. I sent her this. Found a beautiful mourning dove dead in my path in front yard also. Cold rainy day in Tx today. Freeze coming tonight. I will bury it when it warms up. In the past 24 hours I have seen 13 dead animals on my way to work (it is a very short route, maybe 5 miles). 1 deer, 2 possums, 2 raccoons, and 8 rabbits. This has made me very wary. I’m worried that due to the high count perhaps something dangerous lies ahead.